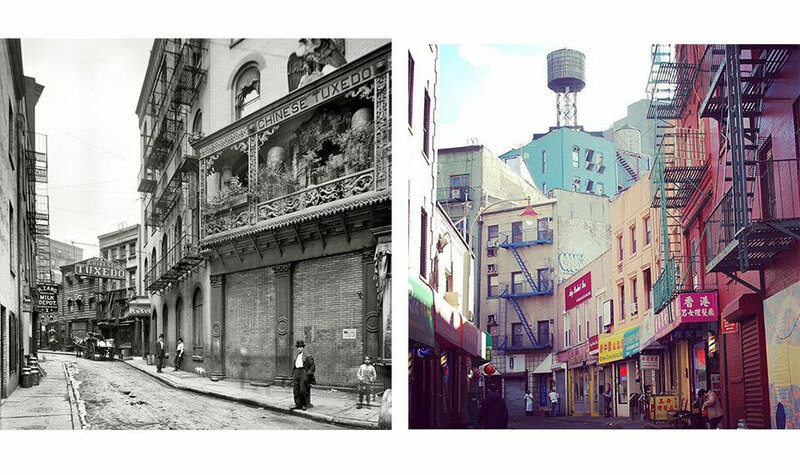 New York City is no stranger to history, and once upon a time, Chinatown’s narrow Doyers Street carried much notoriety; the curved alleyway was at one time dubbed the “Bloody Angle” for its hotbed of brick tenements, gang fights, gambling dens and opium. Today, it conjures notions of kitschy souvenirs, bespoke cocktails, and culinary outfits. Here, our five spots to peek into the past. Since 1920, the Nom Wah Tea Parlor has been a mainstay of Chinatown. 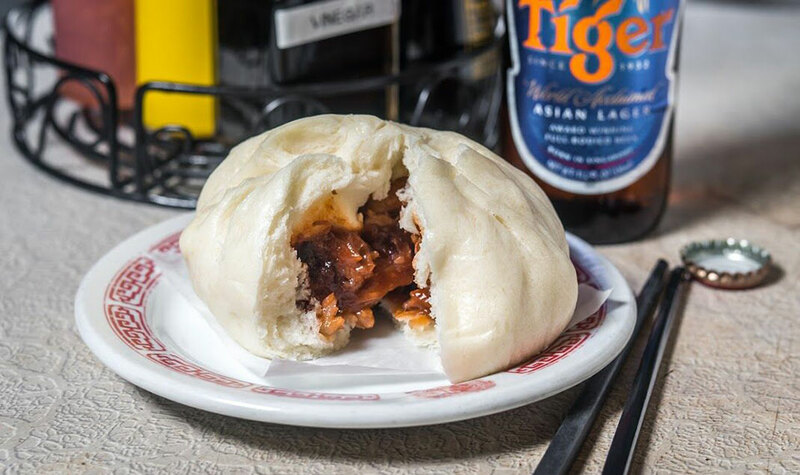 Operating first as a bakery and tea parlor, Nom Wah now feeds hungry patrons dim sum delights like scallion pancakes, egg rolls, fluffy roast pork buns, and turnip cakes with ponzu sauce. Outside, the place looks like a faded Wong Kar-wai cinema frame, and inside, red booths, vinyl tables, and mustard yellow walls serve as an inspired place to sip a pot of tea or cold Tsingtao beer. 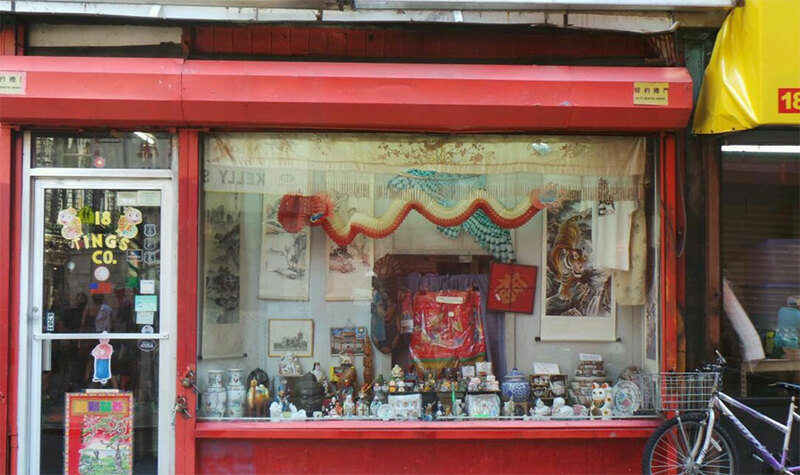 Perched on the corner of Doyers and Pell, this bright lipstick-red storefront (est.1957) was previously part of Chinatown’s drug crackdown, raided for ten pounds of heroin. Almost 60 years later, the venerable bastion still hawks a bevy of cheap Chinatown tchotchkes and memorable giftables such as porcelain lucky cats, small Buddha’s, paper dragons, back-scratchers, incense, and paper lanterns. Mixing ethnic genres is a New York specialty. 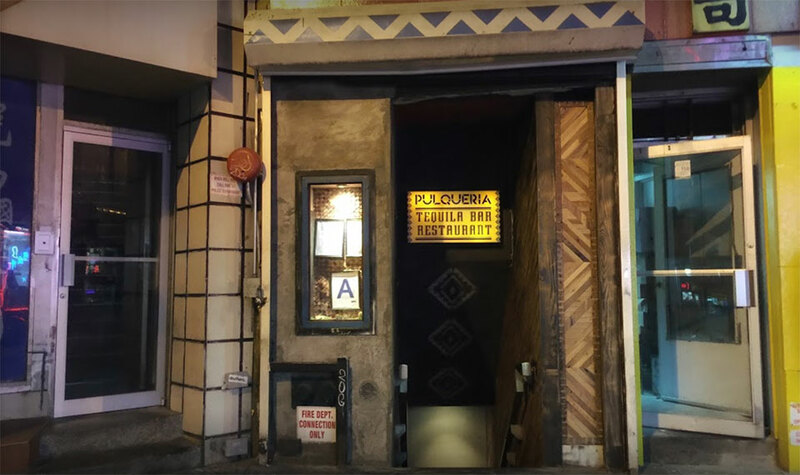 Once a Vietnamese sandwich shop, Pulqueria now caters to a late-night crowd looking for a slice of Mexico City. 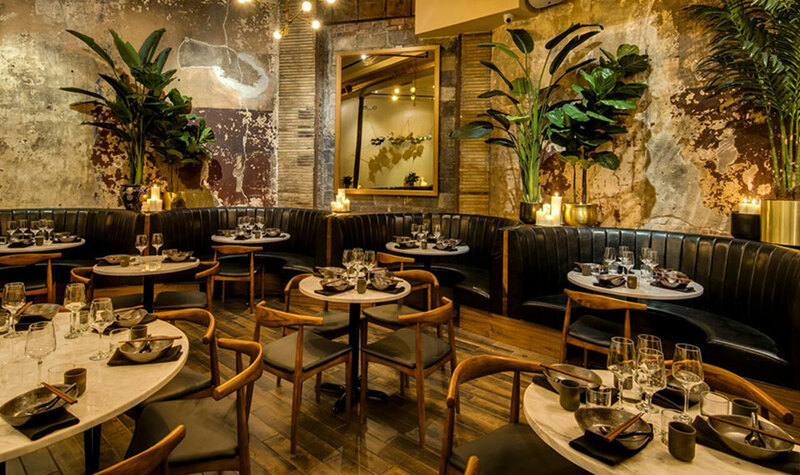 Operating as a candle-lit subterranean den with blue and white tiled floors, this Doyers Street favorite also doubles as a place for tasty nibbles including street tacos, fresh ceviches, and piles of guacamole. To drink, try the milky-fermented (read: potent) Aztec spirit pulque. Just a few doors down (and from the same owners of Pulqueria), this moody, red-hued cocktail bar sits inside a former opium den. 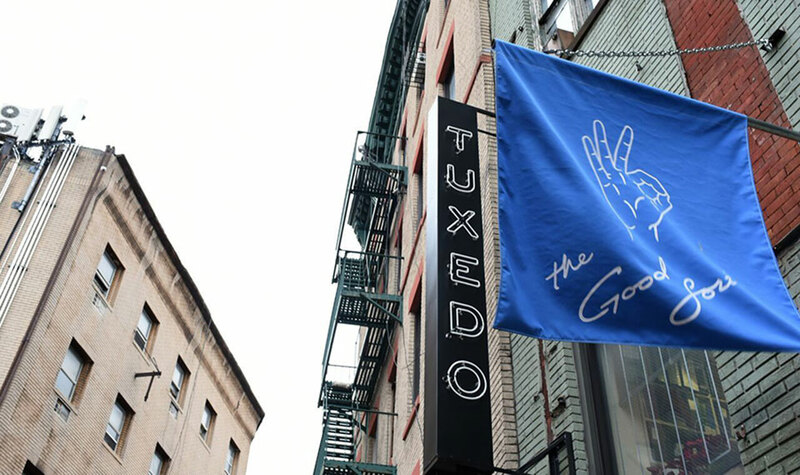 Just look for a red awning reading “Gold Flower Restaurant” flanked by a doorman. 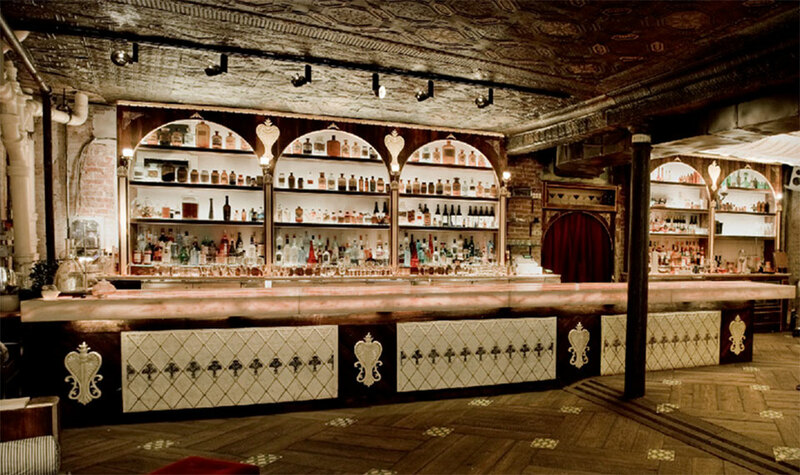 A glam space, dressed in pressed tin and gold, there’s an apothecary-themed cocktail menu using freshly-plucked herbs and fruits in concoctions like Stress Relievers (gin with beets, pomegranate shrub, bitters) and Aphrodisiacs (vodka, rosemary, champagne, strawberry). End your tour outside the former headquarters of Chinatown’s notorious Tong wars and one-time Chinatown Opera House. Today, a chic, bi-level modern Chinese restaurant leans heavily on the building’s native architectural bones; original pillars, high-ceilings and stripped-down walls. While you might not dine with gangsters, there’s plenty on offer thanks to chef Paul Donnelly’s menu filled with salt and pepper Dungeness crab, and liang mien with spicy black vinegar dressing.